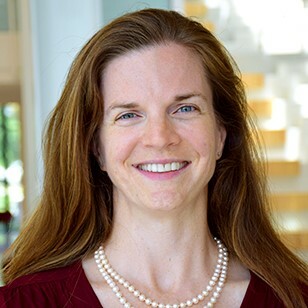 Katie Siek, an associate professor at the School of Informatics, Computing, and Engineering, has been honored with the Undergraduate Research Mentoring Award from the National Center for Women and Information Technology (NCWIT). Siek, who also serves as the director of informatics undergraduate studies and is the program director for Proactive Health Informatics, has led various efforts to promote research experiences for undergraduates (REUs), and she is being honored for her outstanding mentorship, high-quality research opportunities, recruitment of women and minority students, and efforts to encourage and advance undergraduates in computing-related fields. Siek is the principal investigator for the Proactive Health Informatics Research Experience for Undergraduates site. She relies on four or five faculty volunteers, plus five graduate students and some staff to provide opportunities for undergraduates to learn the research process. The relationships formed during the REUs extend far beyond the end of the program. Suzanne Menzel, a senior lecturer of computer science, nominated Siek for the honor. Siek will be honored at the 2019 NCWIT Summit, which will be held May 14-16 in Nashville, Tennessee. As part of the award, SICE will also receive a $5,000 gift, which Siek will use to fund opportunities for undergraduates to present their work at international conferences. Siek’s primary research interests focus on human-computer interaction and how sociotechnical interventions affect personal health and well-being.